Normandy Animal Hospital is one of St Louis' oldest and most trusted veterinary clinics. With Dr. Bryce Goman at the helm as Chief of Veterinary Medicine, our clinic has acquired many experienced animal care providers. In the best interest of your furry family friend, and to promote disease prevention, Normandy Animal Hospital utilizes the veterinary talents from various specialists throughout St. Louis: Associated Veterinary Specialists, MVRC, University of Missouri College of Veterinary Medicine, and the Animal Emergency Clinic. 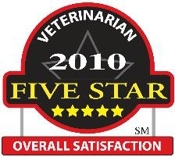 We treat dogs, cats, rodents, birds, reptiles, and fish, as well as horses, cows, alpacas, llamas, pigs, goats and sheep. Normandy Animal Hospital cares about the well-being of your pets, and we strive to provide healthier lifestyles for them through preventative medicine, including flea and heartworm prevention. We offer all types of treatments from physical therapy to state-of-the-art surgical procedures. We believe that preventative medicine is a vital step in maintaining a good quality of life for your pet. Our care begins with puppy and kitten immunization programs, and continues through to elderly stages. The staff at Normandy Animal Hospital is here to assist you with programs that cover each stage and to help ensure the continued health of your pet. Normandy Animal Hospital is built upon a foundation of providing the best veterinary care possible. We treat each patient as if they were our own. Over the years, we have acquired a dedicated and caring team who shares in our passion for veterinary medicine. During an appointment, owners and their pets are always met with genuine care and respect. Trust in the superior care and excellent service at Normandy Animal Hospital. Our animal clinic has an expert team of veterinary professionals and staff, and a clean, comfortable, and efficient state-of-the-art veterinary facility. Call (314) 356-8578 to schedule an appointment. Copyright © 2018 normandyvet.net All rights reserved.